The Wash and North Norfolk Coast » The Wash and North Norfolk Marine Partnership. The Wash and North Norfolk coast is one of the most important marine areas in the UK and European North Sea. This Marine Protected Area encompasses the largest embayment in the UK, The Wash, which is fed by four rivers: the Witham, Welland, Nene and Great Ouse. The Wash hosts one of the largest areas of intertidal flats in the UK, second only to Morecambe Bay, and is connected to the North Norfolk coast through a complex and dynamic sediment transfer system. 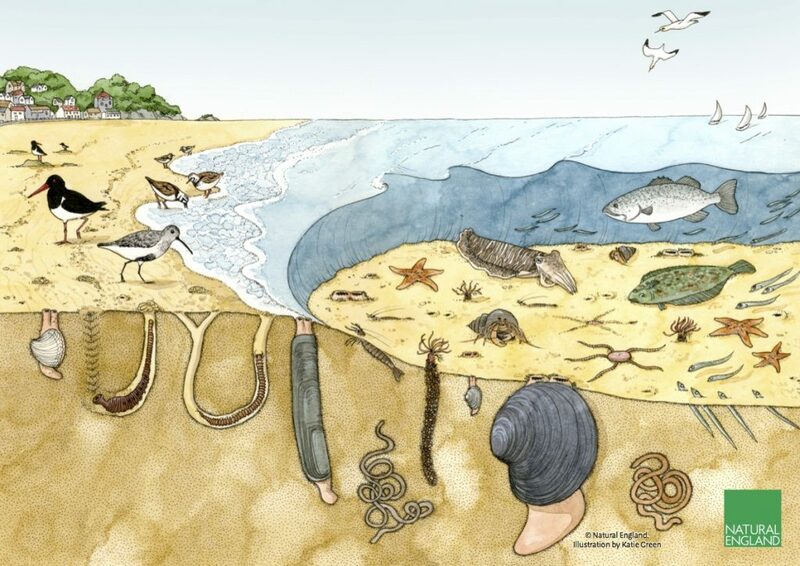 In the tidally swept approaches of The Wash, the Ross-worm lives in tubes formed of mucous and suspended sand, which builds up to form areas of ‘biogenic’ reef. 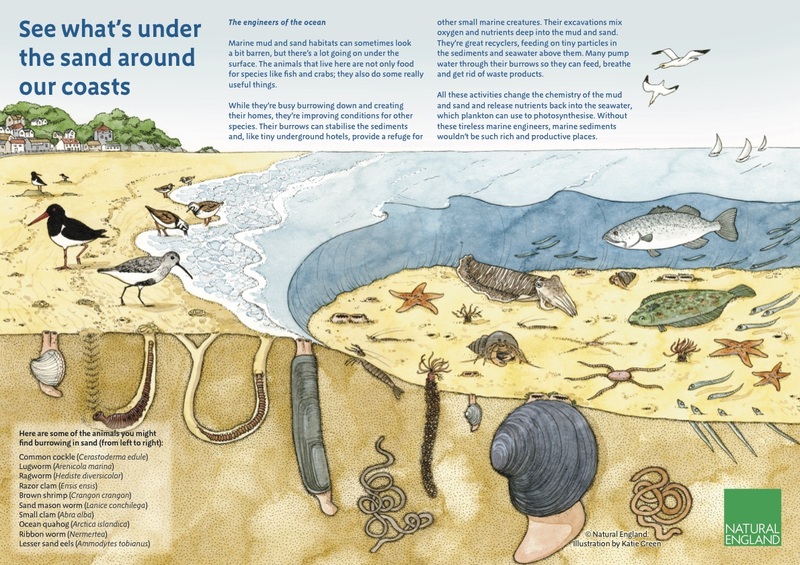 The large areas of intertidal sand and mudflats are an important habitat for polychaete worms, bivalves and crustaceans and in turn form a rich foraging ground for wading birds. Mussel and cockle beds found on these flats not only support a diversity of marine life but also a thriving and historic fishing industry. Commercially important fish species such as mullet, bass and flat fish use sandbanks as nursery grounds for their young, which are wide spread throughout The Wash and North Norfolk coast. In the tidally swept approaches of The Wash, the Ross-worm lives in tubes formed of mucous and suspended sand, which builds up to form areas of ‘biogenic’ reef. These structures can stand up to 30 cm tall and extend for hundreds of metres, making these reefs the most stable and well-developed example of this habitat type found in the UK. 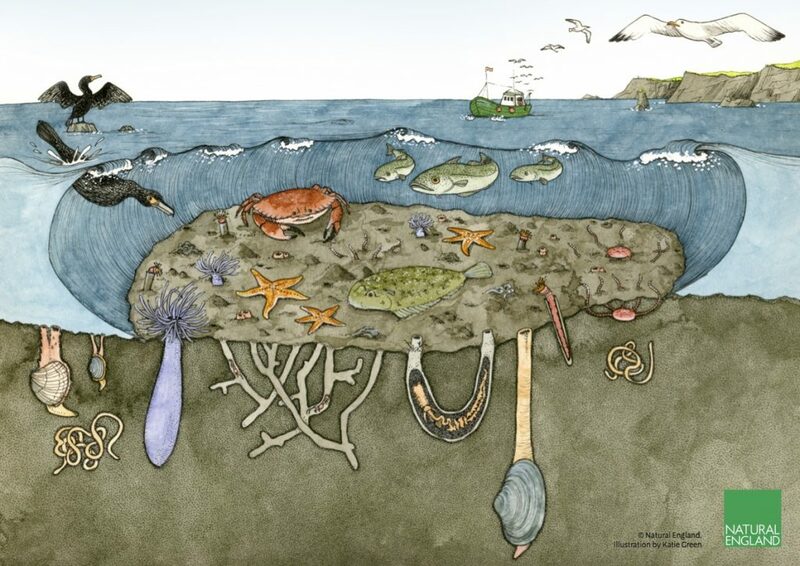 In an otherwise sediment dominated environment, the diversity of seabed forms gives rise to a diversity of creatures that would otherwise not be found in such huge numbers, such as pink shrimp, crabs and other crevice dwelling beasties. Further inshore, saltmarsh communities colonise the sand and mudflats and represent the largest single area of this habitat type in the UK. The saltmarshes on the North Norfolk coast are not typically grazed, contrasting with the traditionally grazed saltmarshes around the Wash, resulting in a biological divergence of this habitat type, which is unique to the UK. 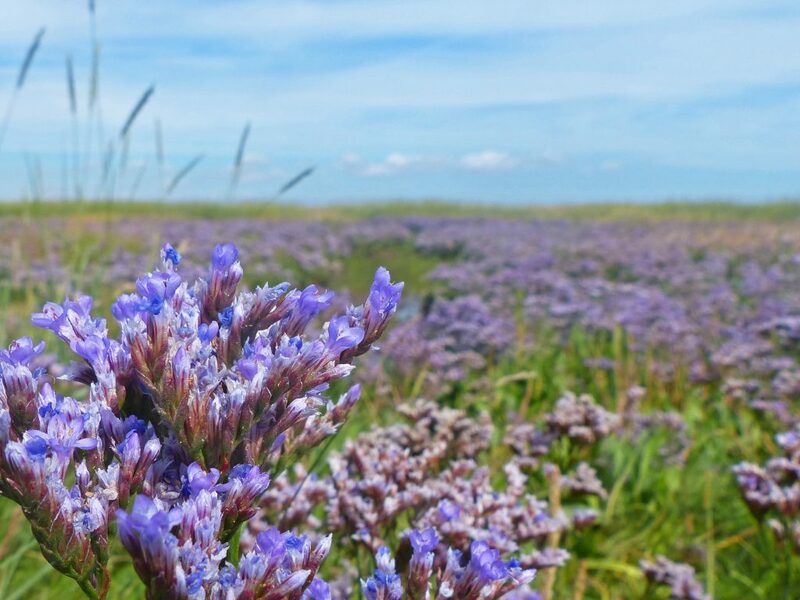 Swards of saltmarsh sea-lavender bloom and give a flood of purple across the coast in the summer months. Atlantic salt meadows form one of the most diverse and extensive examples of this habitat in the UK. Within these salt meadows, the Mediterranean and Atlantic salt-loving scrubs have been found to thrive together, which has not been recorded anywhere else in the UK. Coastal lagoons on the North Norfolk coast are maintained by the barrier beach system and inland coastal lagoons provide habitat for unique invertebrate communities. 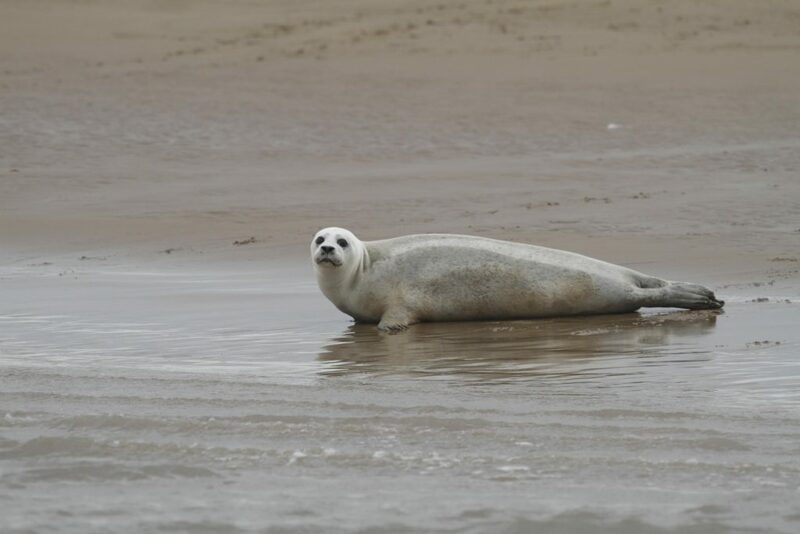 The Wash and North Norfolk coast is also home to the largest colony of common seals in the UK, around 10% of the UK breeding population. They can be found hauling out on sand and mudflats in areas such as Blakeney Point on the North Norfolk coast and the banks of the River Great Ouse. 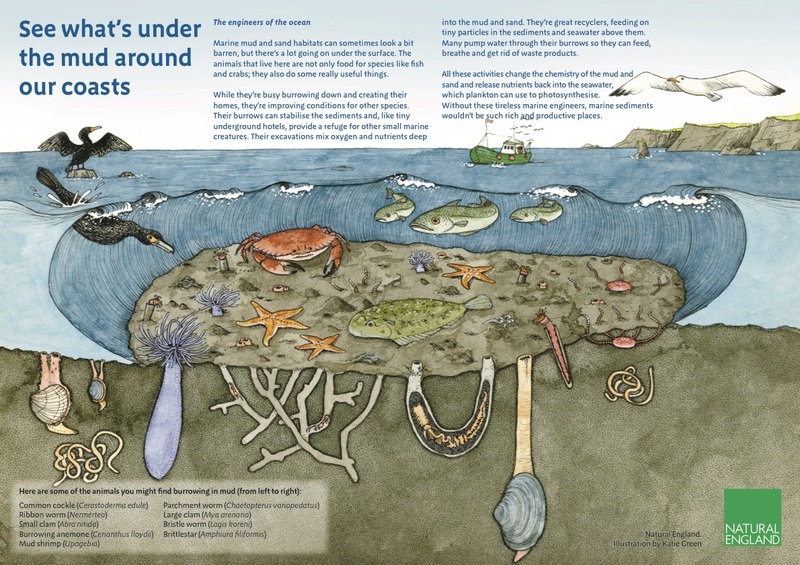 This Marine Protected Area is designated a Special Area of Conservation under the European Commission Habitats Directive and UK Habitats Regulations. For more information about the protected wildlife along The Wash and North Norfolk coast please visit the Natural England Conservation Advice website.